Cranberry pappu in Andhra style is a very delicious, spicy and sour which can go excellent with rice. 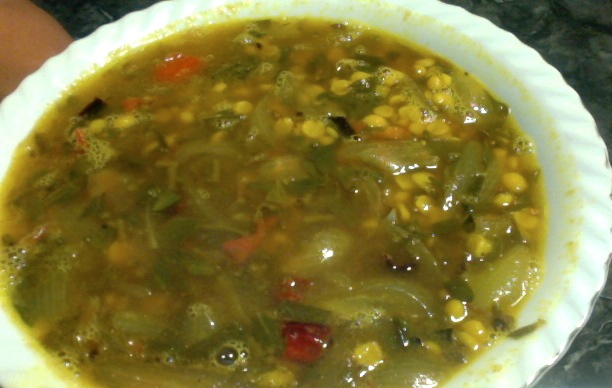 Wash and soak toor dal in fresh water for about 20 minutes. Keep it aside. Wash cranberries and keep them aside. Cut red chili into small pieces. 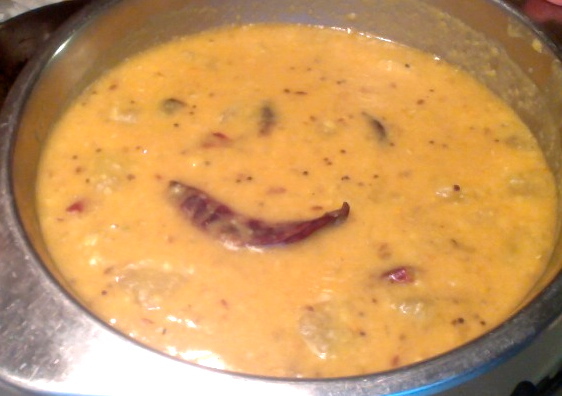 Spread the cranberries on top of the soaked dal and cook them together in the pressure cooker until the dal is soft. When it is done, wait until the pressure come down before you open the cooker. Then take out the vessel from pressure cooker. 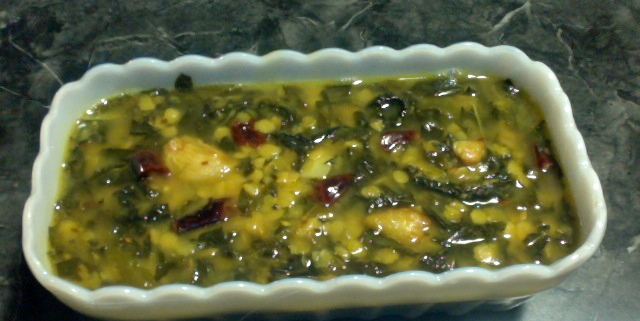 With the help of a ladle press the cranberries and mix them well with dal. Heat oil or ghee in a thick bottom pan on medium. When it is hot add crushed garlic and fry till golden brown. Take them out and add to dal. 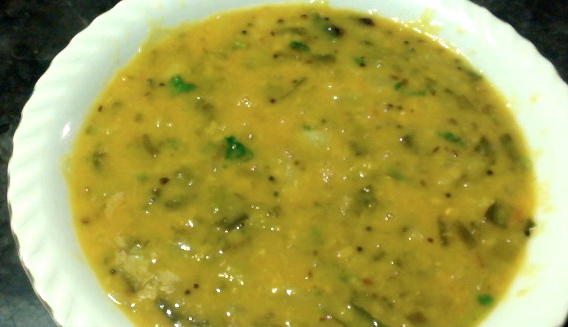 Then in the same oil add fenugreek seeds, mustard seeds, cumin seeds and green chili. When the mustard seeds are crackling add red chili, hing, curry leaves and turmeric powder. 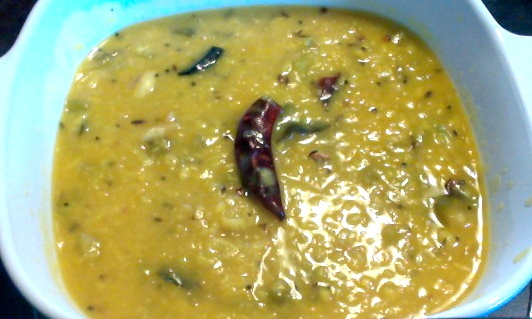 Add cooked dal to the tempering and mix it well. Add salt and red chili powder. Add some water to get your desired consistency. Mix it well and let it cook on low flame for 5-10 minutes. Then turn off the stove. Serve it hot with rice and a papad on the side. Please try this and enjoy. Don't forget to give me your feed back. Please feel free to write your comments and suggestions below.